Cardinal Scale Manufacturing recently announced a new “brand name” for its popular line of EPR truck scales. With our many popular name-brand products, such as the GUARDIAN® hydraulic scales, STORM indicators, and SnapStream wireless applications, it was time to give a brand name to the most popular Cardinal heavy capacity product of all. As the EPR truck scale series has evolved into the cornerstone of Cardinal’s business, it needed a name that best suits the heavy-duty scale that it actually is. Effective immediately, the EPR series scales will now be known as the ARMOR® series for all electronic truck scale products. What better name to put on a product that bests represents the quality and longevity of a Cardinal truck scale. 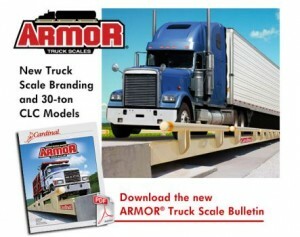 A Cardinal ARMOR® truck scale is all you require for protecting your investment and weighing requirements. Arriving at the most opportune time for the busy upcoming truck scale buying season, Cardinal Scale has added yet another series of scales to the ARMOR® series products. You now have two competitive choices in ARMOR®, designed to meet the varying needs of the industry. The new 100-ton overall capacity/30-ton Concentrated Load Capacity ARMOR® truck scale includes all the great features of the 45-ton CLC model for the value-rated price you may require for certain applications. From stainless steel USA-made load cells and rodent protection to robotic-welded bridges, this new scale is everything you expect from a Cardinal ARMOR® Truck Scale. The 30-ton CLC models are designed for normal legal over-the-road trucks. 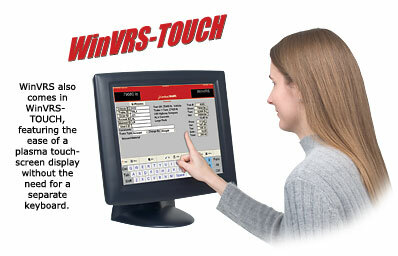 Put on the ARMOR® of Cardinal and purchase a scale that will provide many years of great service to your business. Cardinal Scale, an ISO-9001 certified scale manufacturer, markets a complete line of quality weighing products and systems. Cardinal’s headquarters is in Webb City, Missouri, USA with warehouses in Canada and England. Established in 1950 by founder WH Perry, the company has been featured on the TV shows like “How It’s Made” and “World’s Greatest!…” Cardinal Scale Manufacturing Company provides a one-stop shop for all of your weighing needs with an extensive product line of scales and weighing systems complete with a wide selection of peripheral equipment for your truck scale or weighing operation. 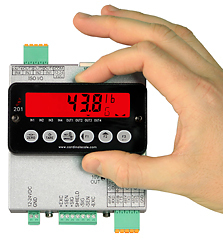 Your risk is eliminated when you own a Cardinal scale, since you only have one call to make for new products and service support from dealers like Central Carolina Scale in Sanford, North Carolina. Cardinal’s customer service and technical support center is all located at the factory headquarters in Webb City, MO. When you buy from Cardinal, you’re not just buying a high-quality USA-made product… you’re putting Americans to work.